Polygon Wood Cemetery is frequently referred to as a front line cemetery, which is curious considering the first burial here was made some weeks after the Battle of Passchendaele had drawn to a muddy close, by which time the front lines were some way to the east of here. 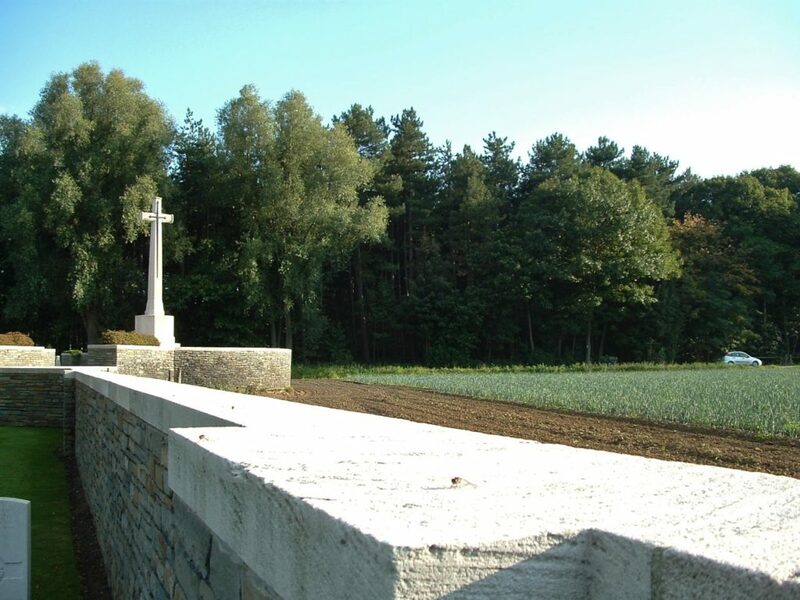 What it is, is a battlefield cemetery, left untouched after the war, as we shall see, a new cemetery being opened across the road within the wood to accommodate the many battlefield casualties and men buried in isolated graves who were found nearby after the Armistice. …the irregularity of the rows of headstones betraying its battlefield origins. 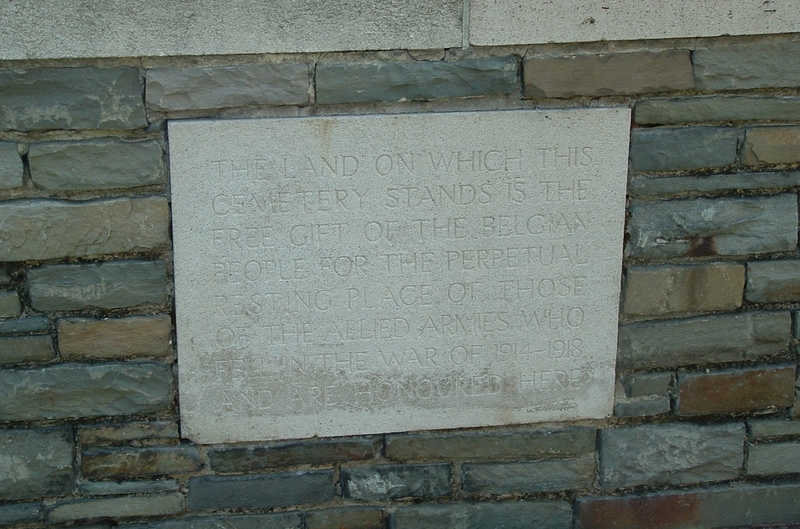 On either side of the entrance, In Perpetuity plaques in English (above) and Flemish & French (below). The morning’s frost still clings to the grass beneath the cemetery walls. 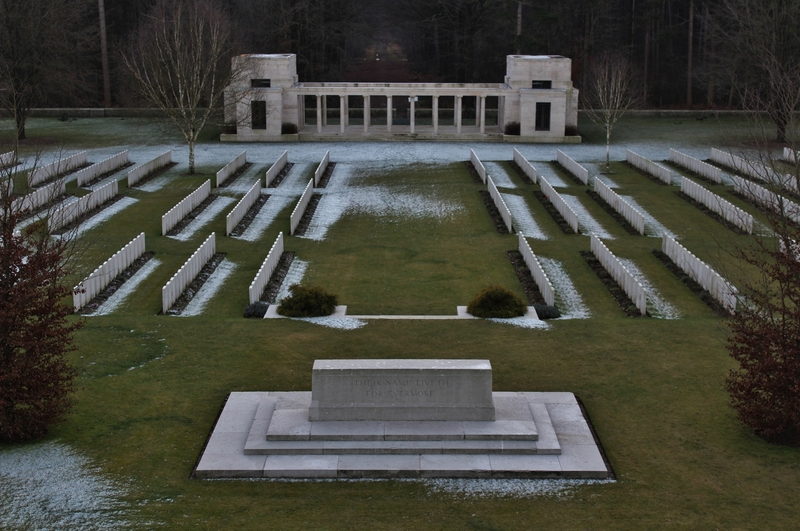 The cemetery plan, by kind permission of the CWGC, is essential viewing, I would suggest, whilst we take a look around. …which are also the five headstones in the second row here, Row C now in the foreground. As the cemetery plan shows, Rows B, C & D actually begin at the far eastern side of the cemetery (behind us in this shot), with a large gap before the sections of the rows that we are looking at here (we shall visit the three headstones, all special memorials, against the wall on either side of the cemetery entrance in the background, later). And this shot shows you the whole of Row C, this time from the western end of the row. 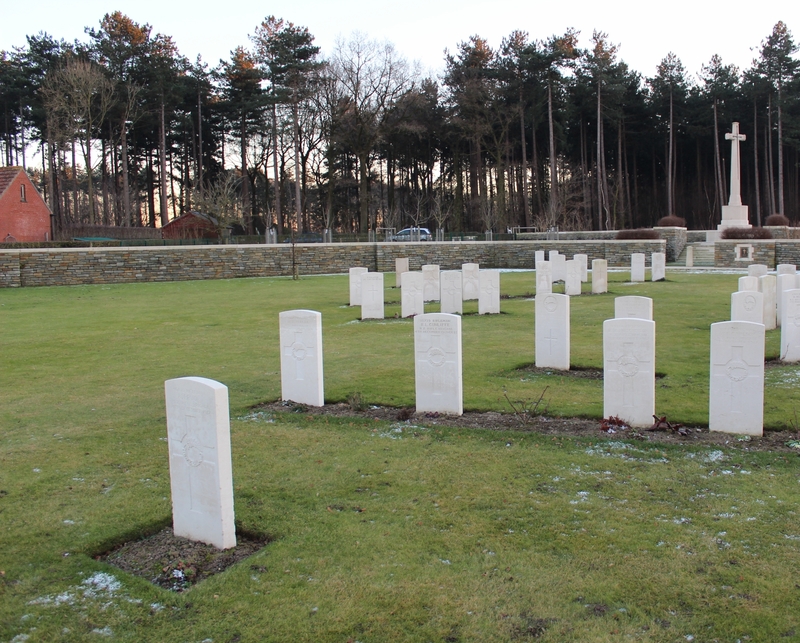 The unknown soldier nearest the camera occupies Grave Reference C7, with C2 at the far end. 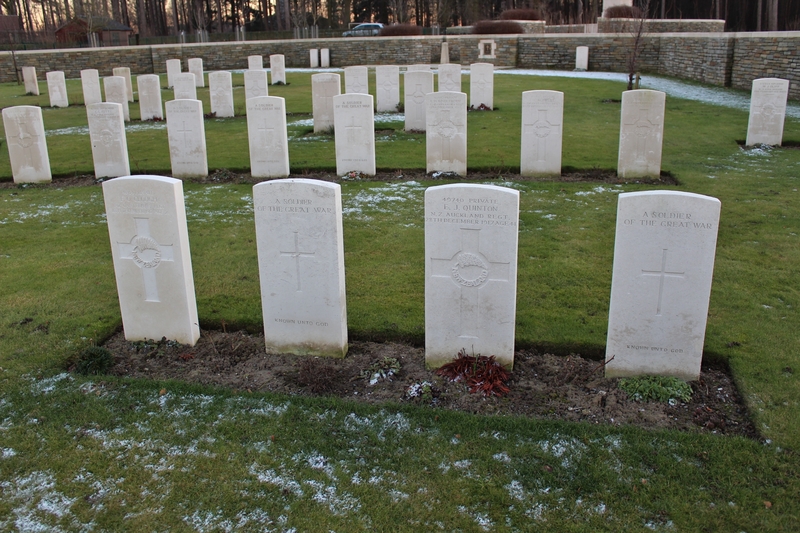 In the background, the single headstone is C1, with the first four headstones of Row B next, and the three headstones of Row A in the far right background. 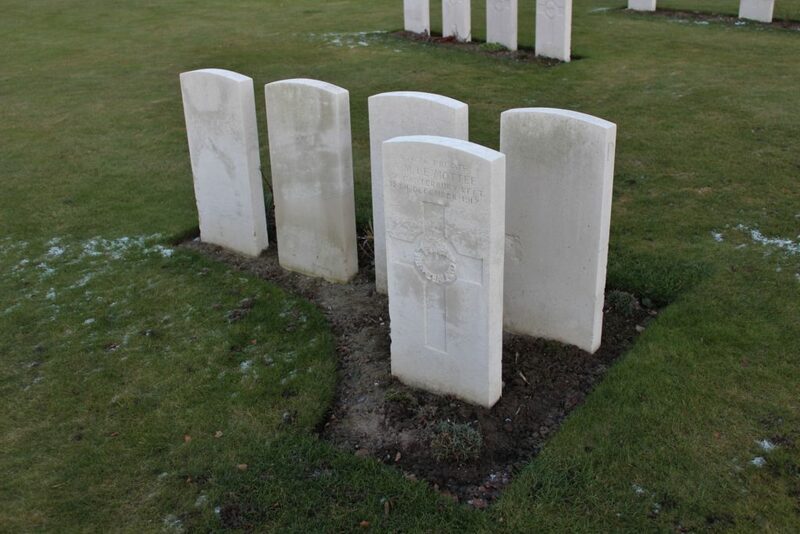 You will have noticed the single German grave of Hans Bogner in Row B two photos back. At some point, perhaps a long time ago, this headstone has been broken in two and then repaired, and it’s pretty tricky for these headstones to break of their own accord. 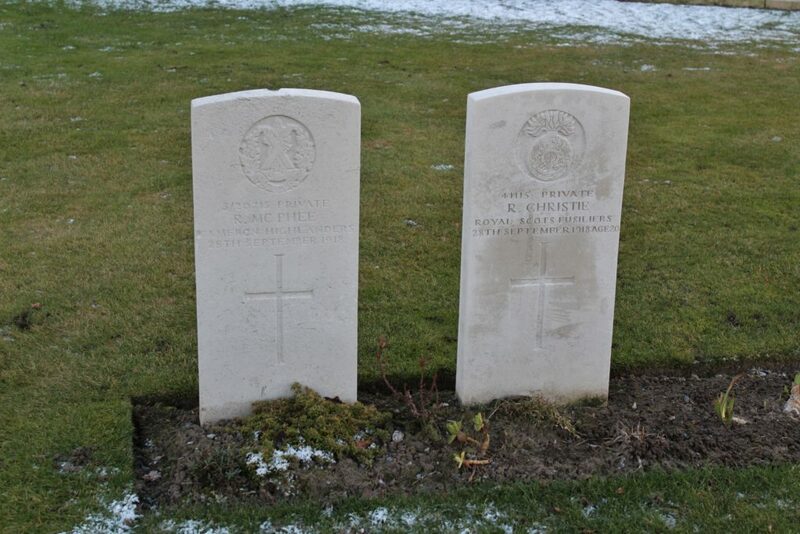 Sixteen regiments can be found among the British dead in the cemetery, although eight of these are represented by just a single burial, such as these two men, Privates McPhee & Christie, one a Cameron Highlander, the other a Royal Scots Fusilier, both killed on 28th September 1918 and buried side-by-side in Row B, two of the three final burials to be made in the cemetery. 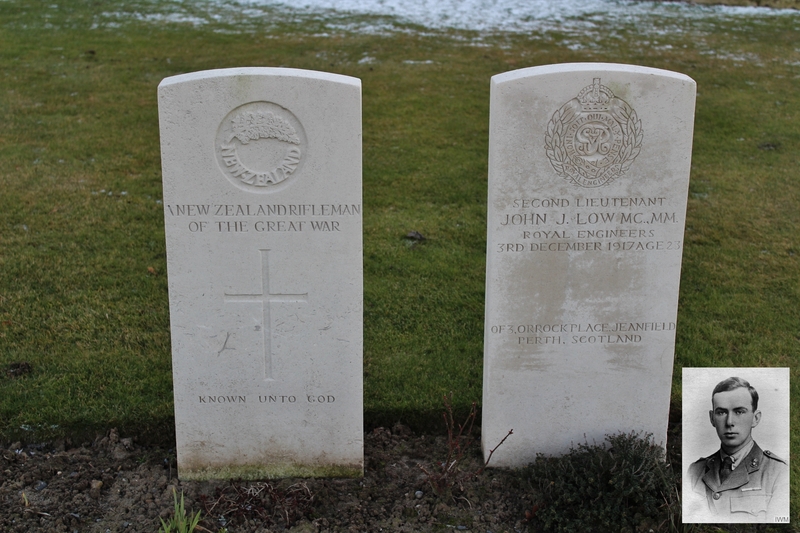 At the end of Row B, next to an unidentified New Zealand Rifleman, lies the only Royal Engineer buried in the cemetery, Second Lieutenant John Lowe M.C. M.M., pictured above, and his must be an interesting story, you would think. 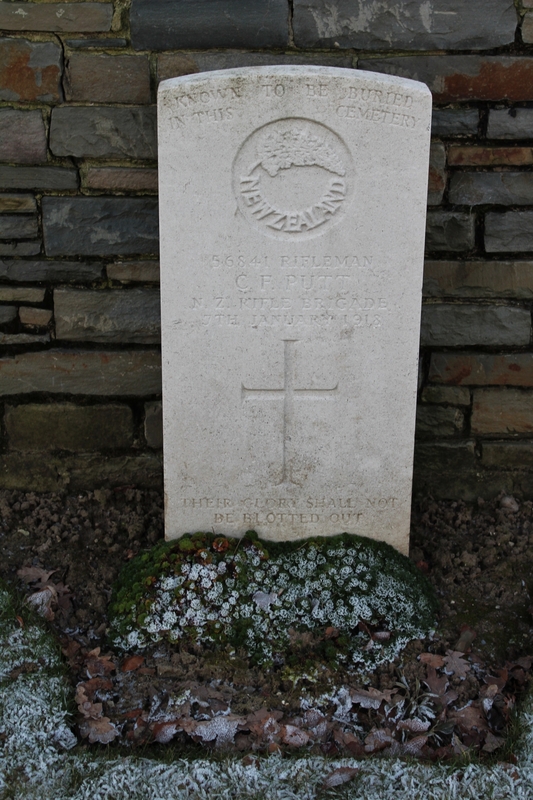 He received a Military Medal in July 1916, was commissioned on the field on 6th August 1916, won a Military Cross on 4th October 1916, and was killed on 3rd December 1917, aged just 23. Note that his headstone bears no religious symbol. Graves at the start of Row D, again the only men from their respective regiments or corps buried here. 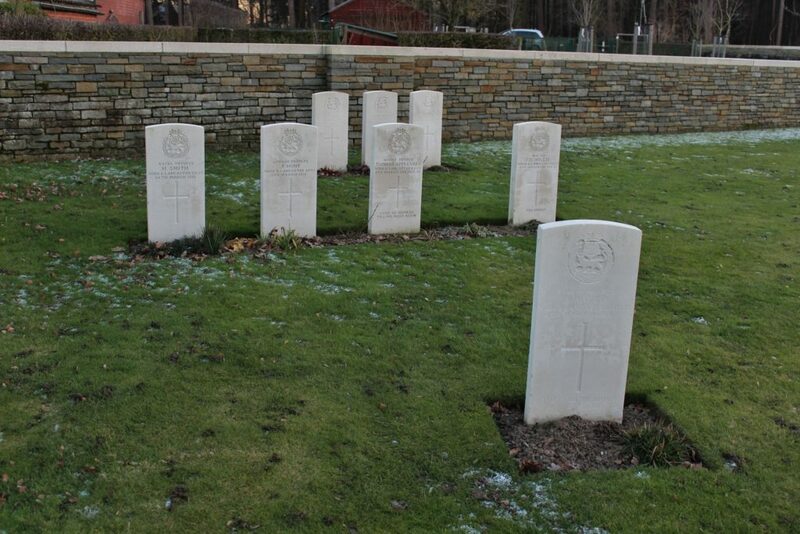 The three men buried beneath the two headstones on the far right were missing until discovered near Zonnebeke in 1998. 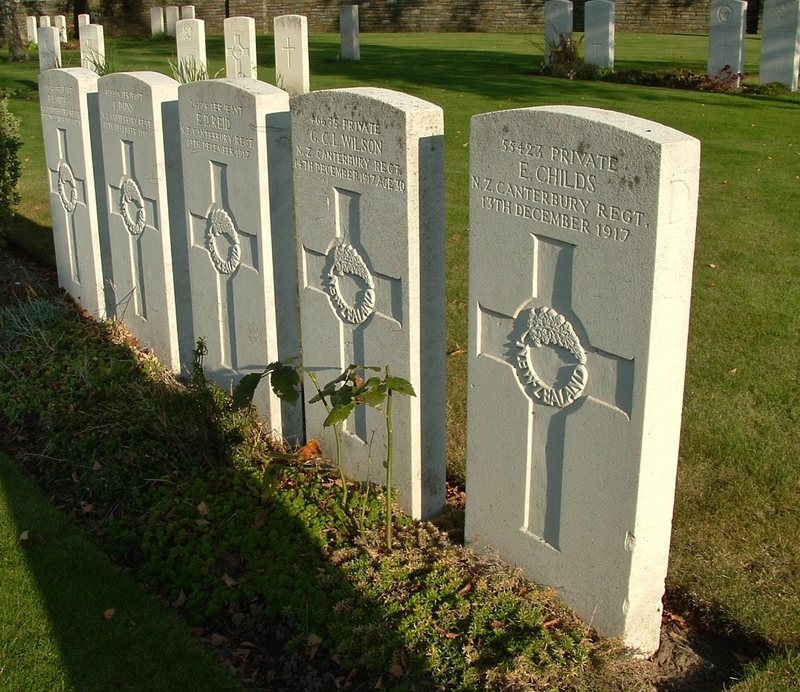 Private John Thompson, second from the right, of the Gordon Highlanders, was subsequently identified, a knife found with him being inscribed with his initials, his identity later confirmed by DNA; the two men found with him could not be identified, and all three were reburied here in October 2004 (see Graves Registration Report Form below). 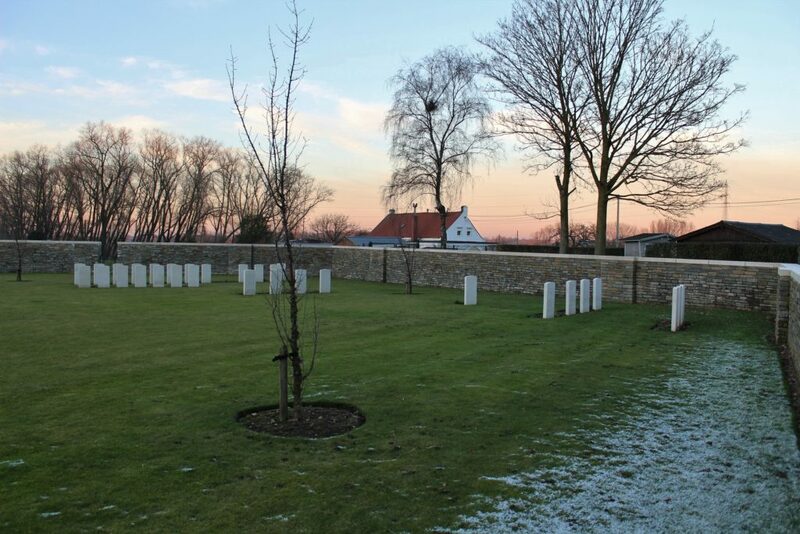 More than half of the identified men buried here are New Zealanders, who held the line in this sector between November 1917 & February 1918, and who began this cemetery at the very end of November, those pictured here also buried in Row D (above & following photos). The three identified men of the Otago Regiment pictured above all died on 12th December 1917, the headstone of Private Patrick Dunford in the centre of the three bearing the inscription ‘Buried near this spot’. If you’ve ever considered, or researched (I have! 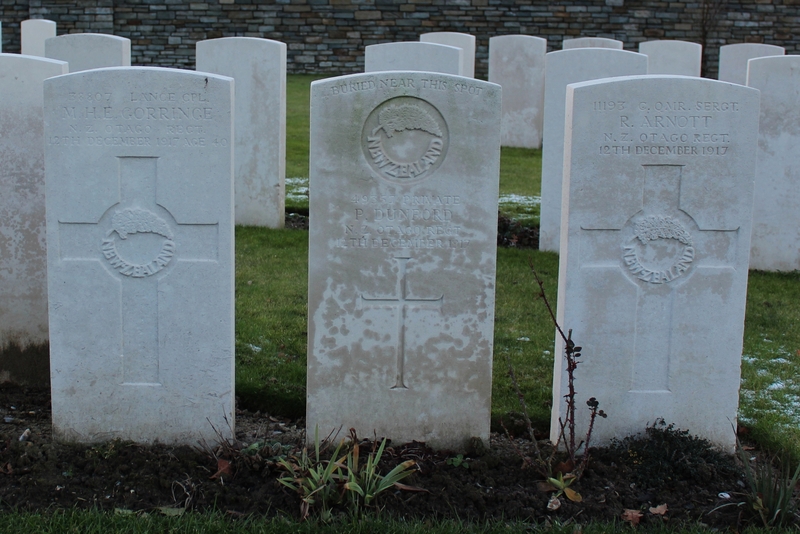 ), the differences between CWGC headstones, you might consider this photograph further. 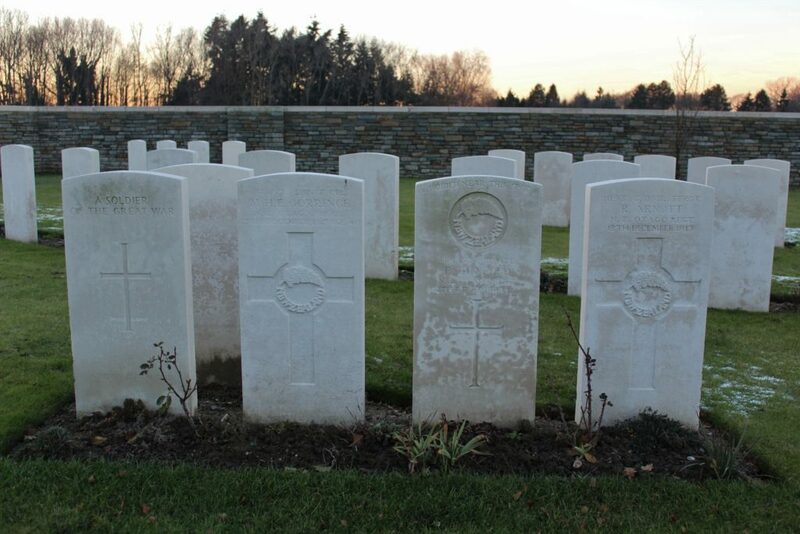 As with all totally unidentified soldiers, the headstone on the far left bears a Latin, or small, if you prefer, cross. 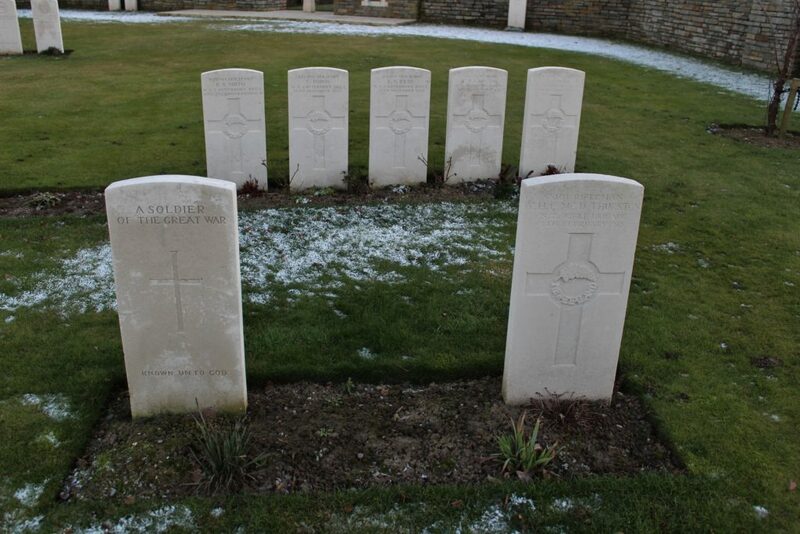 The headstones of the two Otago Regiment men second left and far right, Lance Corporal Mervyn Hugh Egerton Gorringe and Company Quartermaster Serjeant Robert Arnott, bear a Broad, or big, again if you prefer, cross. And there’s a fairly straightforward reason for this. 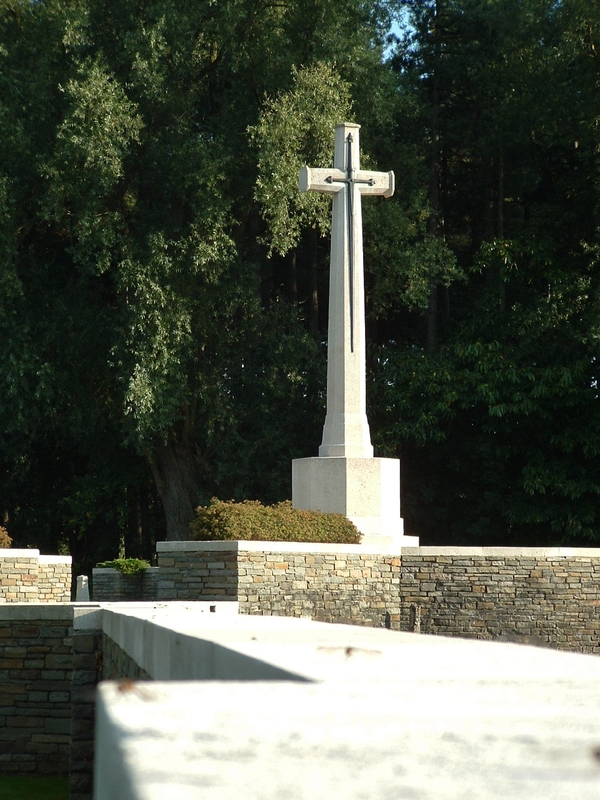 According to the CWGC (unfortunately, the documentation concerning this appears to have been lost during the Blitz in 1940), after the war, when the wooden crosses in the military cemeteries began to be replaced by Portland Stone ones, regiments and corps were given the choice of which cross, either the Latin or Broad cross, should be inscribed on the headstones of their casualties. 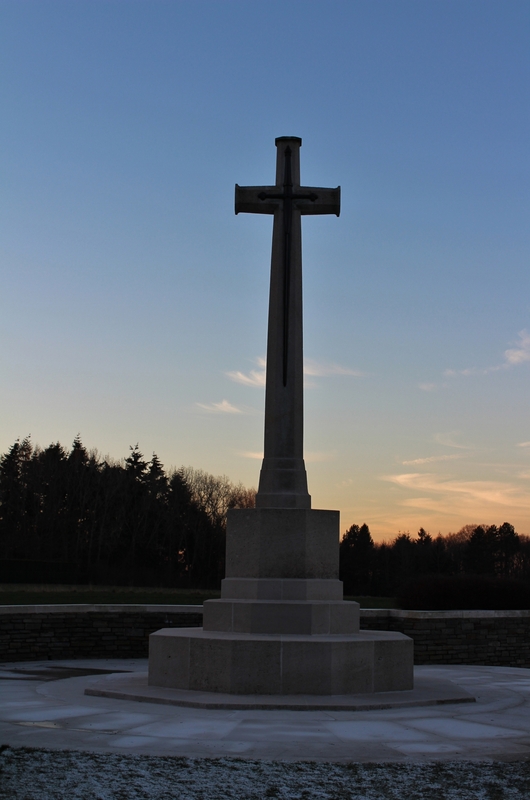 Eleven regiments (and various branches of the Royal Artillery) chose the Broad cross, as did the New Zealand Expeditionary Force. So far so good. There were, however, agreed exceptions to the rules. Jewish headstones bear a Star of David, headstones of Victoria Cross winners a V.C., the families of non-religious casualties could choose to have no cross at all, as we have already seen in this cemetery, and, for some reason, it was decided that all special memorial headstones would bear a Latin cross. Thus you won’t find Broad crosses on any of the headstones associated with Duhallow Blocks, nor on any headstones bearing the inscriptions ‘Known’ or ‘Believed to be buried in this cemetery’, nor ‘Believed to be’ and ‘Buried near this spot’, and one other exception we shall come across later. 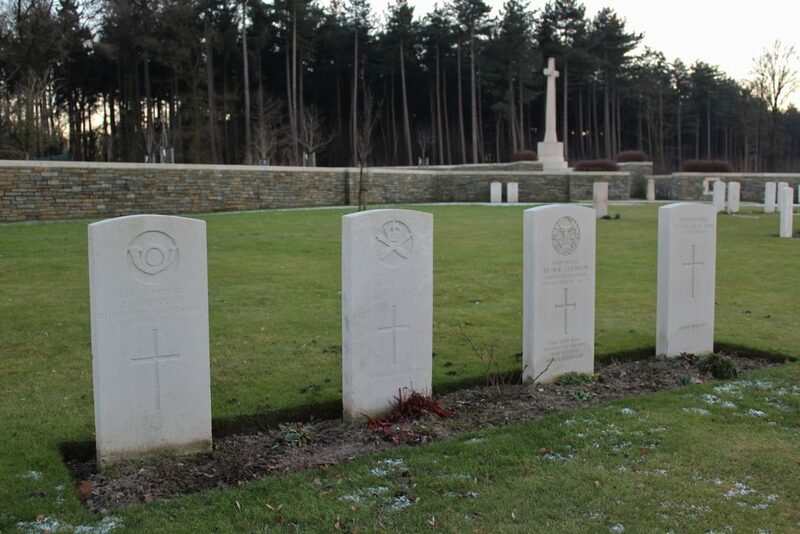 It was also decided that headstones of unidentified soldiers whose regiments were known would bear a Latin cross, even if their regiment had chosen to use the Broad cross for their identified headstones. All of which brings us back to Private Dunford, whose headstone bears the inscription ‘Buried near this spot’, and, you will have noticed, bears a Latin, not a Broad cross, with the New Zealand fern in a roundel at the top. And now you know why. Before we move on, the single headstone immediately behind the row in the previous two shots, and in the foreground here, is the first grave in Row E, another New Zealander, but this time a Canterbury Regiment man who, like the men buried behind him, was killed on 12th December 1917. 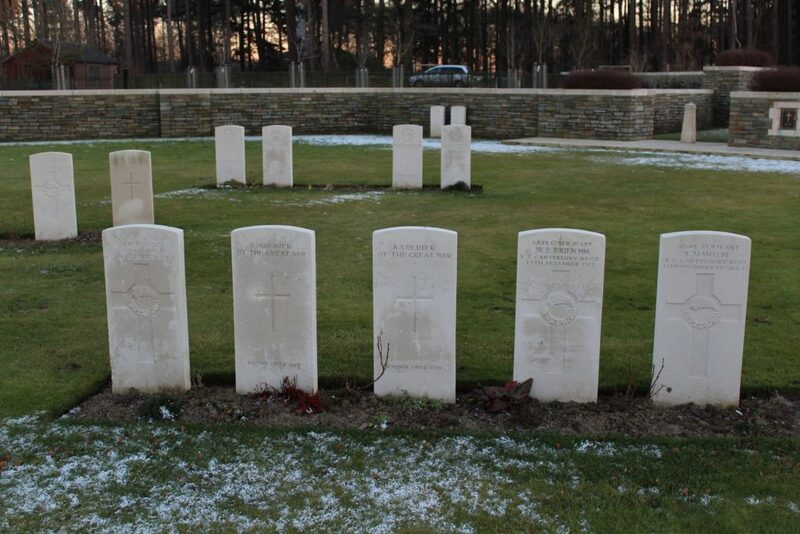 …and the final graves in Row D (background), with the grave of Rifleman Victor Hanah Colin McDonald Thurston, New Zealand Rifle Brigade, one of 35 identified men from the regiment buried here (23 of those who died in a single week between 2nd & 8th December 1917), buried in Row E in the right foreground. At the start of Row F we find the other exception to the Latin/Broad cross rule. 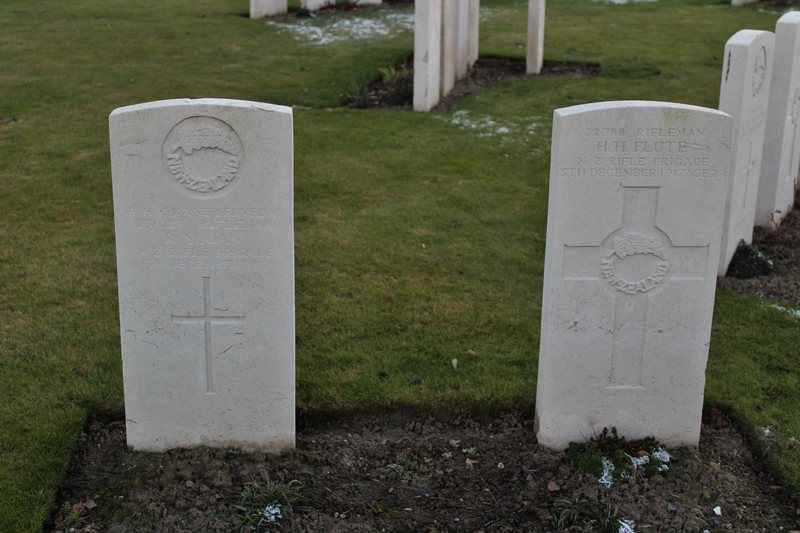 On the right, the headstone of Rifleman Herbert Henry Flute bears a Broad cross, as you would expect. 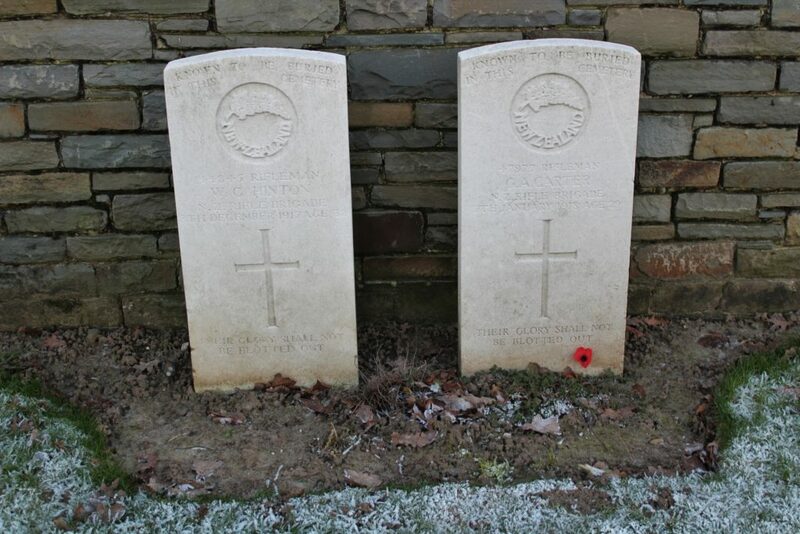 The headstone on the left is that of Rifleman Robert Henry O’Kane, who actually served under the name of Robert Henry Sloan, and as you can see, his headstone bears a Latin cross, as it was decided that the headstones of all men who fought and died under an alias would bear a Latin, as opposed to Broad, cross. Perhaps, indeed probably, simply because of the extra room required to inscribe two names. And, of course, there are always exceptions to the exceptions, where a Latin cross can be found where a Broad cross might be expected, for example, the reasons, if indeed there were any, lost in the mists of time. …and Row G (above & below), the same headstones of Row F as in the previous photo now in the second row in both pictures. The lone grave of Private Arthur James Johnson, Auckland Regiment, beneath the western boundary wall (G20 on the cemetery plan), with more men of the New Zealand Rifle Brigade in the graves at the end of Row E behind. 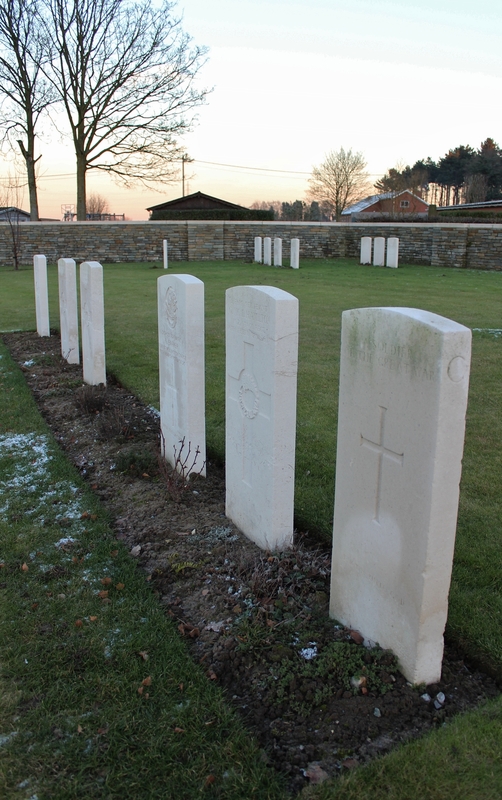 On the eastern side of the cemetery, this is Row H, Private Michael Corcoran of the Canterbury Regiment, killed on 29th November 1917 and the first casualty buried in the cemetery, nearest the camera. 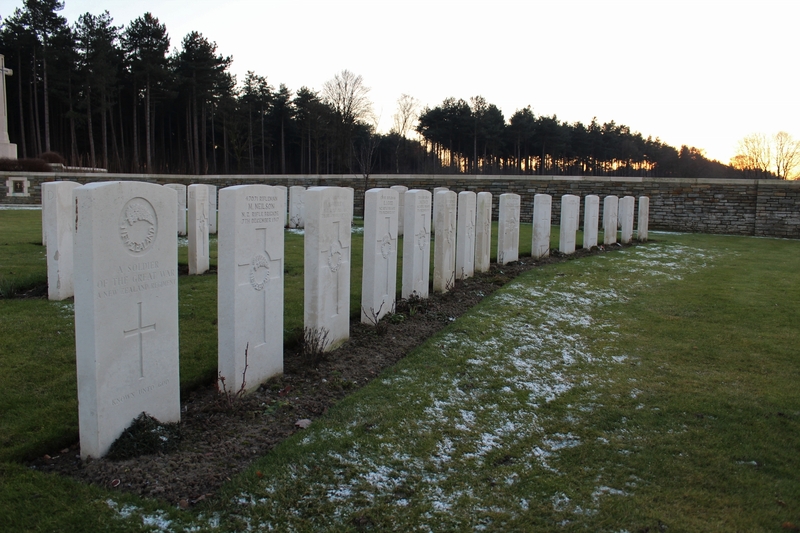 Behind, as the row continues, the men of the Durham Light Infantry and the Essex Regiment, all killed between 10th & 13th April 1918, were, apart from the men killed on 28th September 1918 and buried in Row B whom we visited earlier, the final burials in the cemetery. 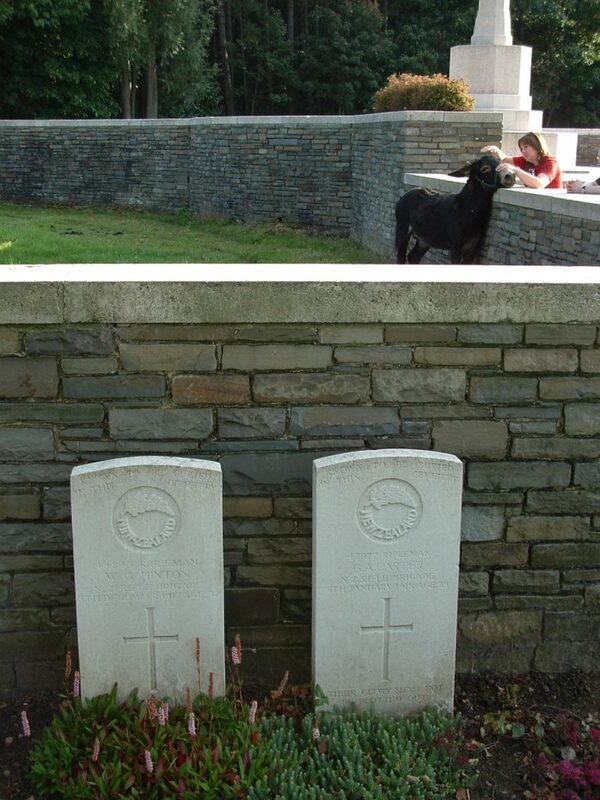 …and nearest the camera in the shot above left, is Private Ambrose Pryor, New Zealand Rifle Brigade, whose grave reference is H13, and panning further right, Private Charles Smith, Otago Regiment, in the foreground of the shot above right, whose grave reference is H14, the final burial in the row. 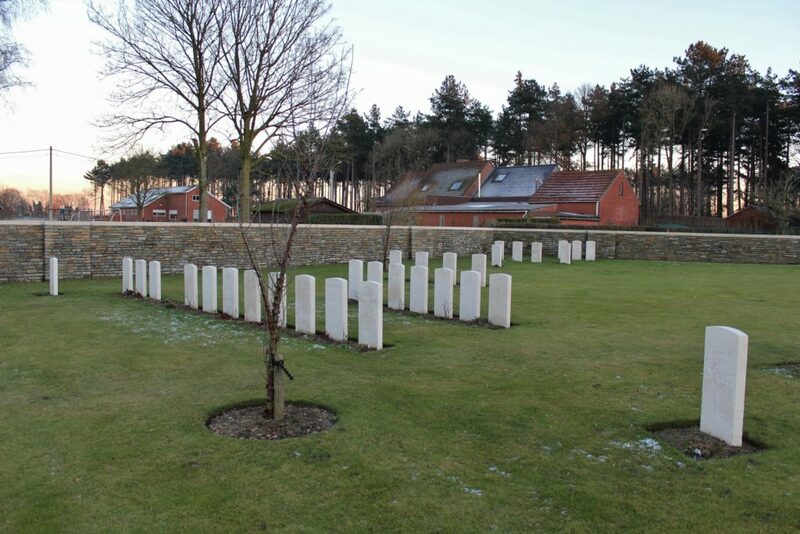 Time to visit the first few headstones in Rows A, B & C, the three rows on the right in this picture, where eight men of the York & Lancaster Regiment, all killed in March 1918, are buried. 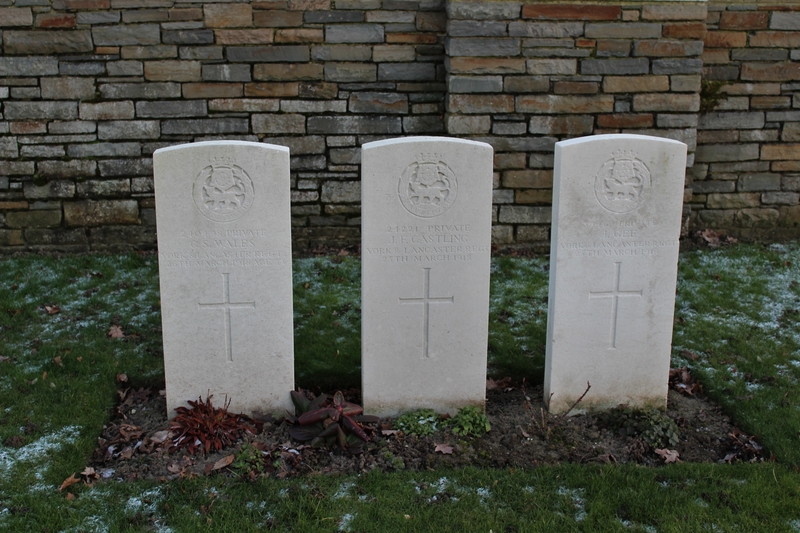 These three men, killed on 25th & 26th March 1918, are buried nearest the wall and all three graves bear the reference number of A1. 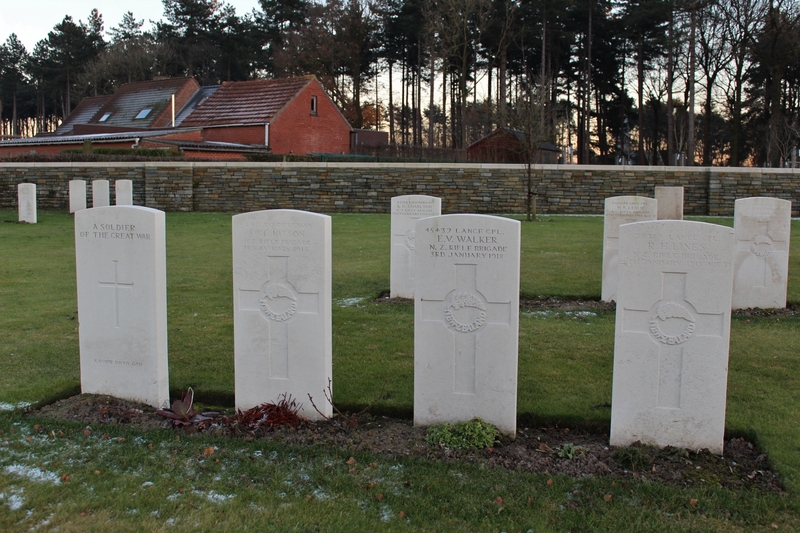 In front of them are four more men of the regiment at the start of Row B, one killed on 24th March and the other three on 8th March 1918, and in the foreground, the first headstone in Row C.
…and, being special memorials, all three bear a Latin, not a Broad, cross. 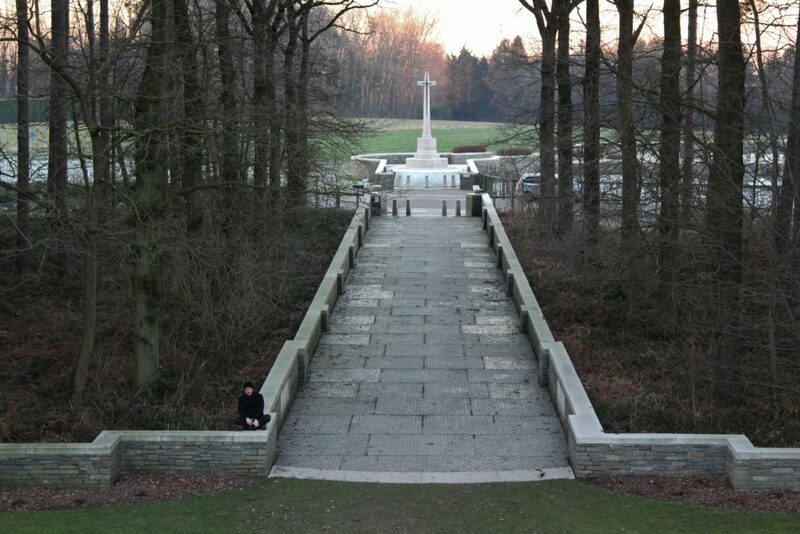 Looking south west past the Cross, the northern edge of Polygon Wood on our left. …is that the trees you see here have now gone. 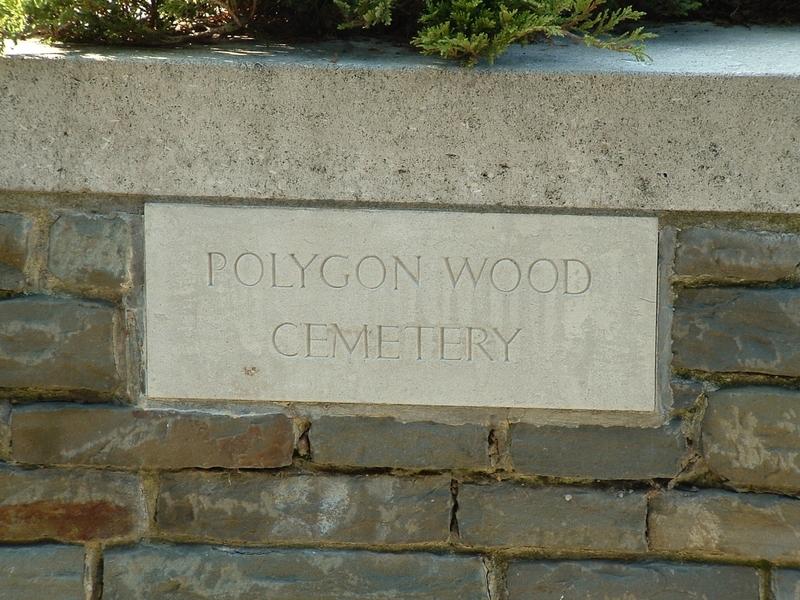 Bearing in mind the proximity of the nearby wood, and the fighting that took place within it, particularly when it was finally cleared by the Australians on 26th September 1917, it is understandable why it is often assumed that Polygon Wood Cemetery is associated with the Third Battle of Ypres. But not so. As we have seen, the first burial took place here nearly three weeks after the official end of the battle, and you will have noticed that there are no Australian casualties buried here, which you would expect considering it was they who captured the wood. The cemetery was used for forty three identified burials, all but one New Zealanders, in December 1917, and a further forty identified men were buried here between January & April 1918 before the German advance recaptured the area. 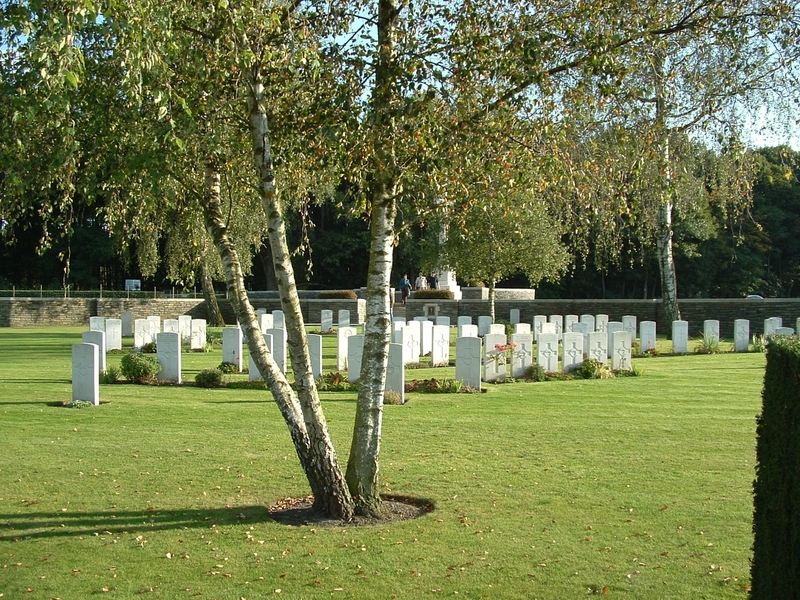 During the first eighteen months of the war, the Germans buried nearly 350 of their dead in the field beyond Polygon Wood Cemetery, eventually, in the 1950s, all moved to Langemark or Menen German Cemeteries, the presence of a cemetery already nearby probably explaining why the New Zealanders began to bury their dead here. 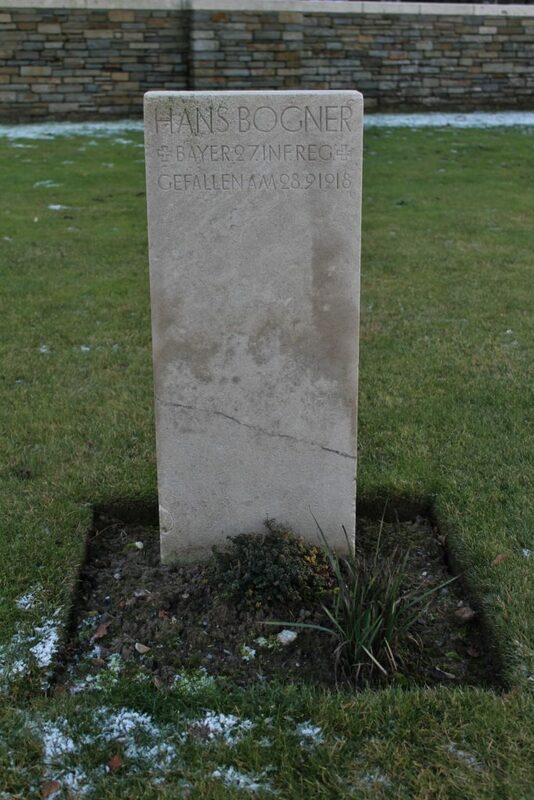 …and the third, the grave of German infantryman Hans Bogner, who died the same day. 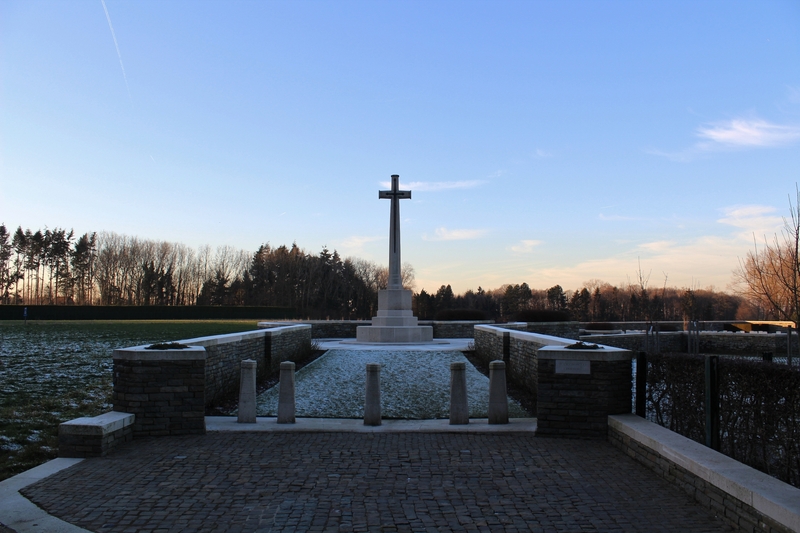 Looking south towards the Cross of Sacrifice and Polygon Wood beyond. 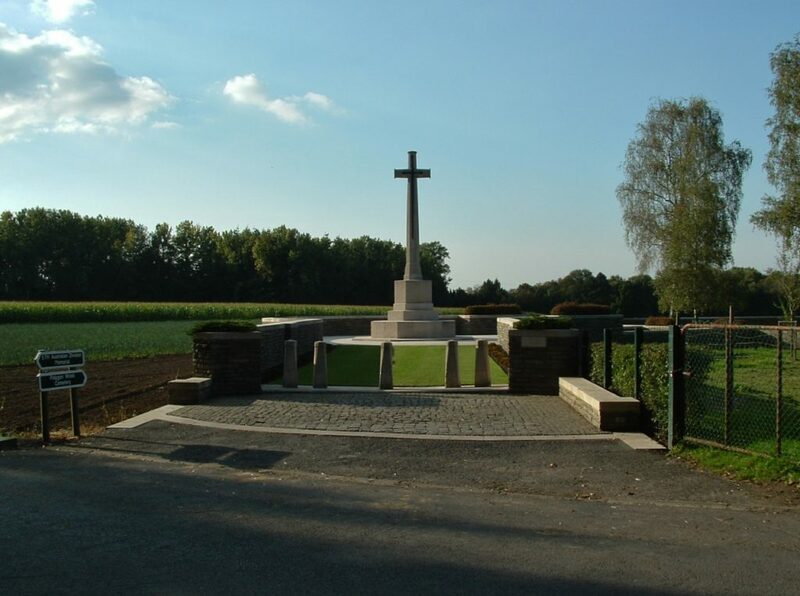 The wood itself, about a mile due south of the village of Zonnebeke, was also known as Racecourse Wood (because it had an oval racecourse, visible on trench maps, as I will show you at some point, within it) and had also been used by the Belgian Army as a firing range, the huge butte they constructed (known as, you guessed it, the Butte) at the north-eastern end of the wood later proving a perfect defensive position for German machine gunners to sweep the by-then devastated wood in front of them. 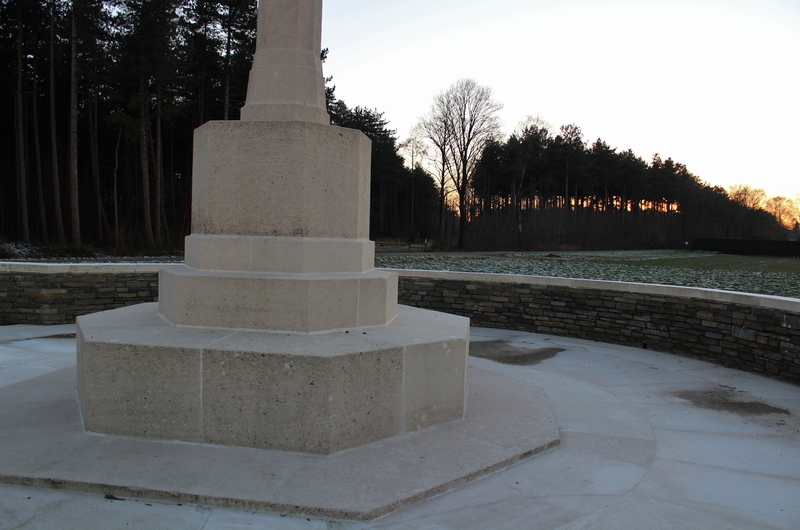 The Butte is still there, with a memorial to the 5th Australian Division, who captured it on 26 September 1917, now atop it, as we shall see when we go into the wood next post. A very brief synopsis of the actions that took place here during the Great War begins when Polygon Wood was first taken by British troops in late October 1914, before being captured by the Germans on 3rd May 1915. 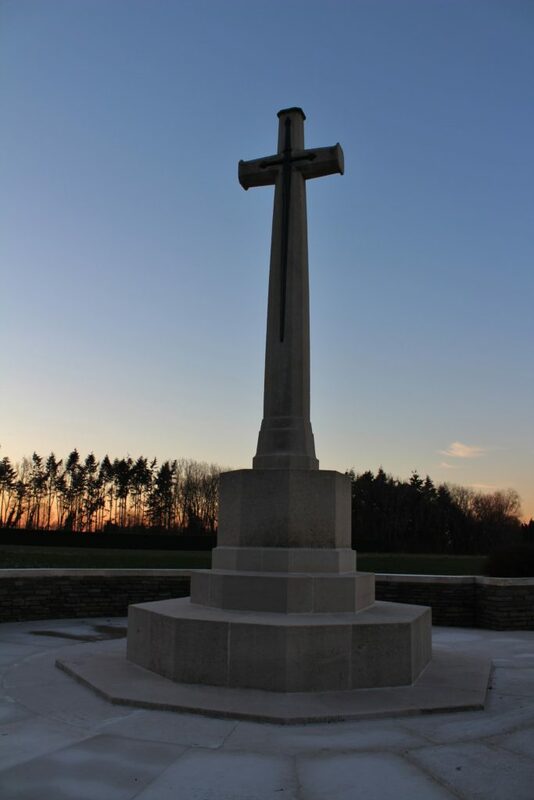 The Australians recaptured it at on 26th September 1917, it was evacuated once again by the British during the German advance in the spring of 1918, and finally retaken by the 9th (Scottish) Division on 28th September 1918. Much more on the Australian attack in September 1917 next post too. 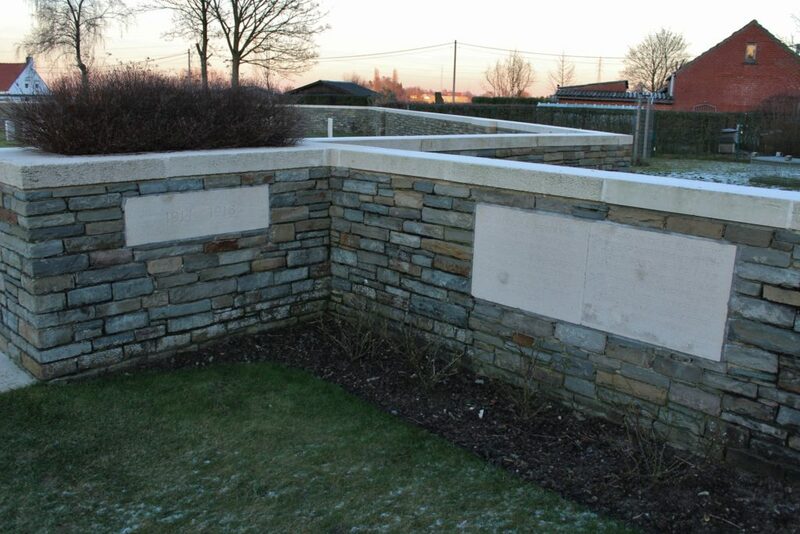 The special memorials on either side of the cemetery entrance (above & below). 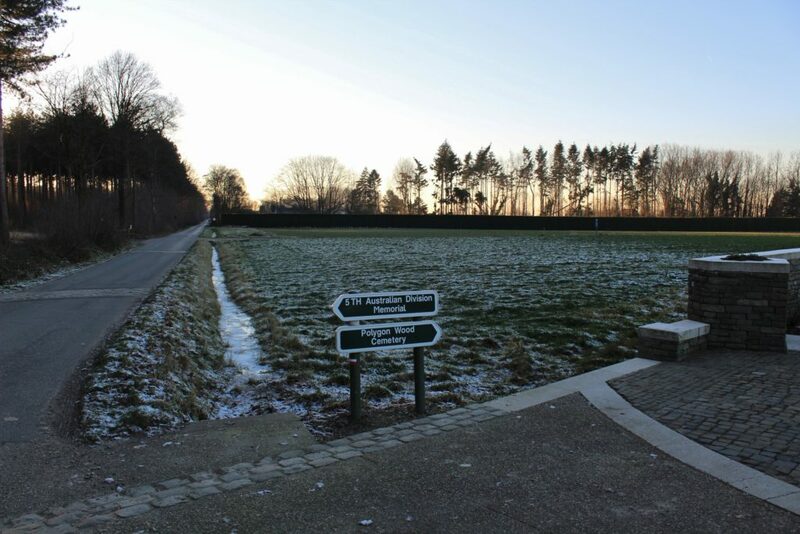 Back to the present, and two final views, this time taken from the Butte within Polygon Wood itself, the first looking down the walled avenue that leads from Polygon Wood Cemetery into the wood, and where young Baldrick is seen practising his daily yoga routine (yeah, right). He’s given up the fags too (yeah, right). No, really, he has. He’s joined the ranks of the vapers now. 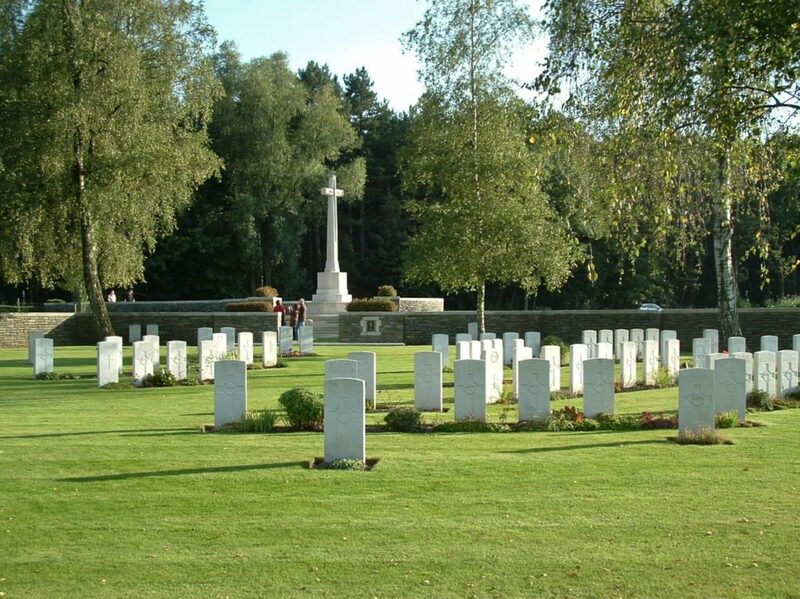 And the second, looking down to our left from the Butte, is of Buttes New British Cemetery, the New Zealand Memorial, and beyond that one of the rides that leads you deep into the wood, all of which we shall explore in the next few posts. 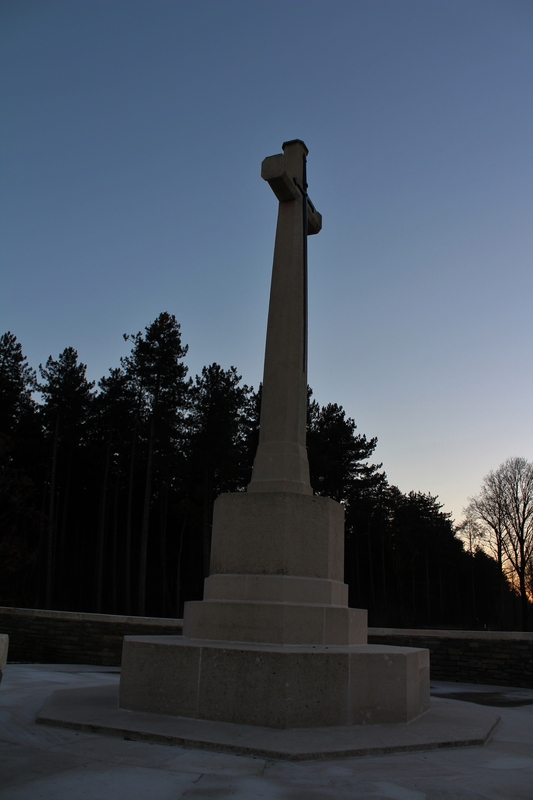 This entry was posted in Polygon Wood, Zonnebeke. Bookmark the permalink. Yet another amazingly informative post thank you MJS. Your after and before photos were most interesting. 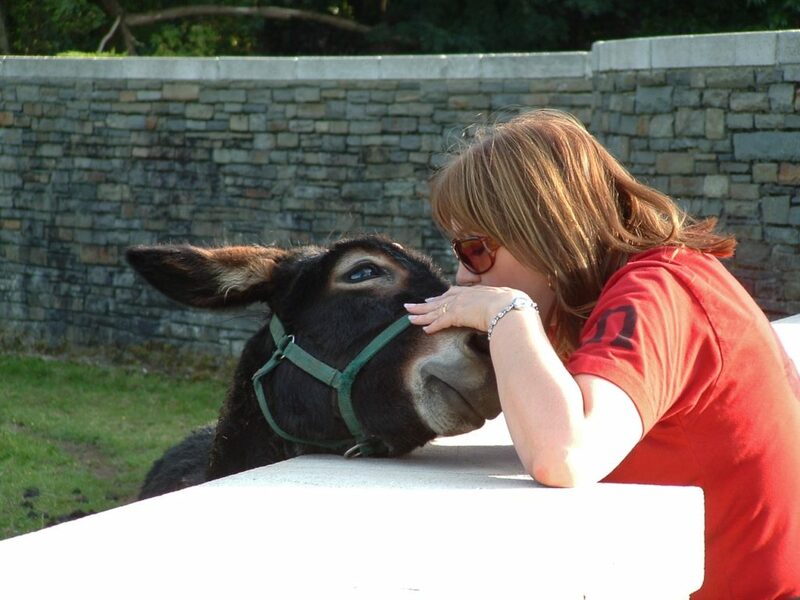 I particularly enjoyed the two photos of you in four legged fancy dress suit (the end kiss gave away it was you inside). Look forward to your next post – BTW it was our ANZAC Day remembrance on 25 April – huge crowds (an increasing number of young) around Australia attended Dawn Services and the later Marches. Also this year is the 75th anniversary of Japanese attacks on several towns along my Western Australian coast plus of course the famous Kokoda Track battle in Papua New Guinea which turned back the Japanese. I was privileged to attend a Service at my village in company with a daughter of our outstanding soldier Brigadier Arnold Potts of Kokoda Track fame – I call him the John Monash of Australia’s desperate days of Pacific WW2. He was a great bloke in other regards too. After I had been part of a Catafalque party for the dedication of a new War Memorial, he bought me a beer under the noses of the local coppers when I was below “drinking age”. Because of his standing, the coppers did not dare say anything. Lol! 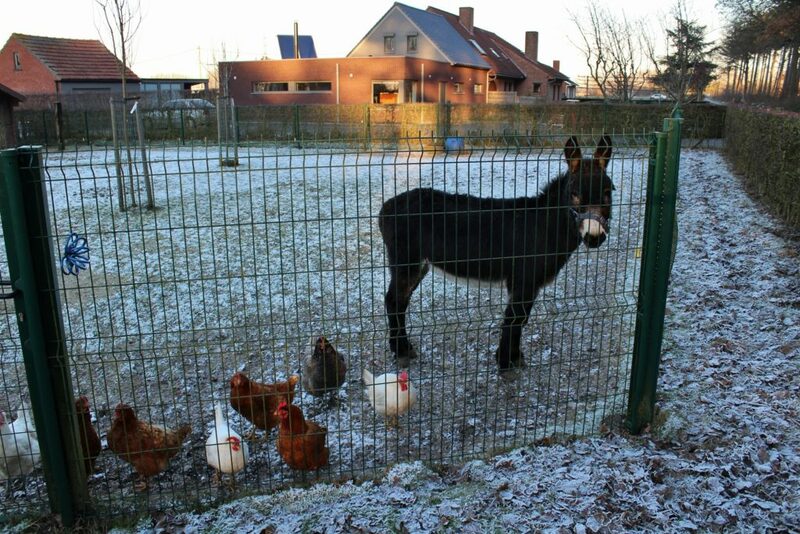 Yeah, I’m always the donkey. Glad you enjoyed this one – next one is getting there. Am confused by your headstone grass comment though. Please explain further. Oh yes, I know about the Kokoda Track, although I don’t know of Arthur Potts, I don’t think. Does indeed sound like a good bloke though!! I think those Wallabies trump the donkey! Were they Anzacs? Thanks for yet another very interesting article! When I was stationed in Lüdenscheid, Germany, I was three times in a row the platoon commander of a platoon that participated in the “March of The Yser”. 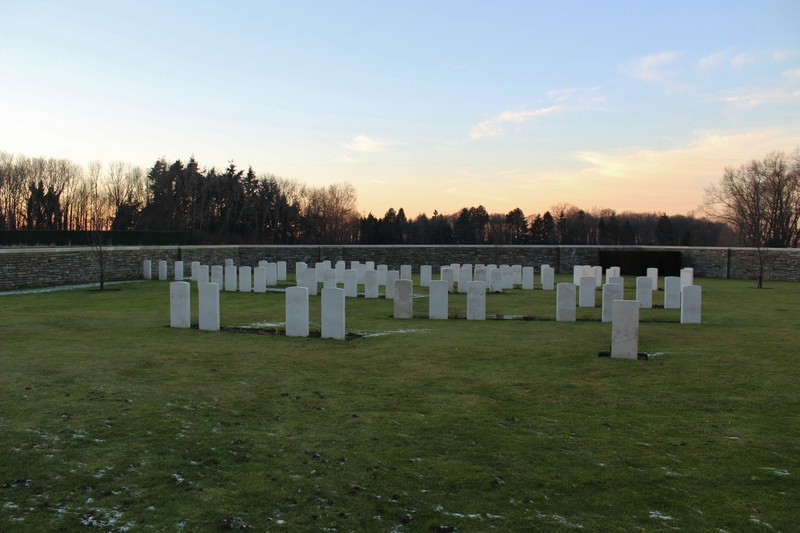 For 4 days, you march 32 Km a day through “Flanders Fields”, and I always took the time to pay my respects when we came by a cemetery. Just a “present arms” by the platoon for a minute and then moving on. Cheers Chris. And good to hear your anecdote. I like that. Incidentally Blamey was a signatory for the formal Japanese Surrender aboard USS Missouri. I’ve been fortunate to have toured this great Battleship in its working days when it visited our port of Fremantle and stood right on the spot of the Surrender signing. It does look like hailstones, but it isn’t, as you say. Wait ’til next post where a close-up will reveal exctly what it is. Thanks for the bedtime reading. I shall read it at bedtime. And the photo(s) of the Japanese surrender will never be the same again! Very cool to have stood on the very spot. A bit like standing on the supposed spot on the Victory where Nelson was shot – and I have done that. This is my second post of the same – the first did not “post” so hope doesn’t “double up”. Our Australian National Australian War Memorial (in Canberra) has an Australian Defense Force (ADF) Attaché in Passchendaele by name of Colonel Scott Clingan who oversees Australian commemorations on the Western Front. 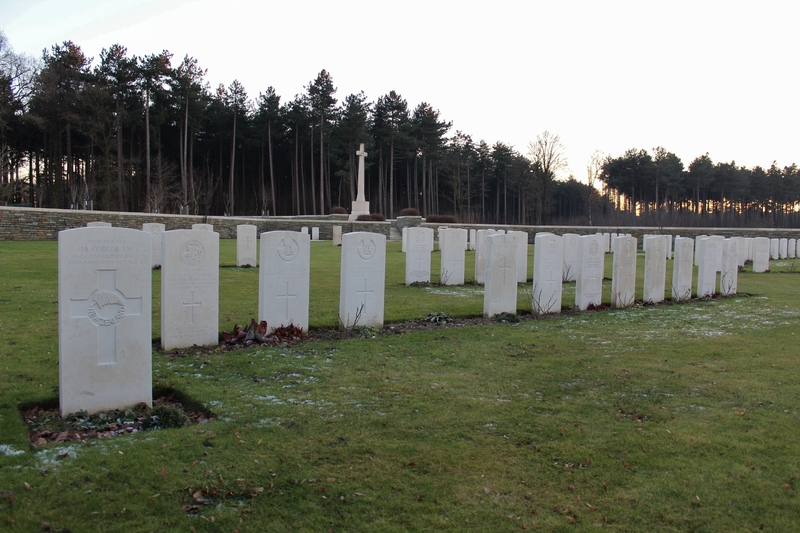 In the coming hours, the Australian Government will hold a dawn service in Belgium to commemorate the hundredth anniversary of the Battle of Polygon Wood. 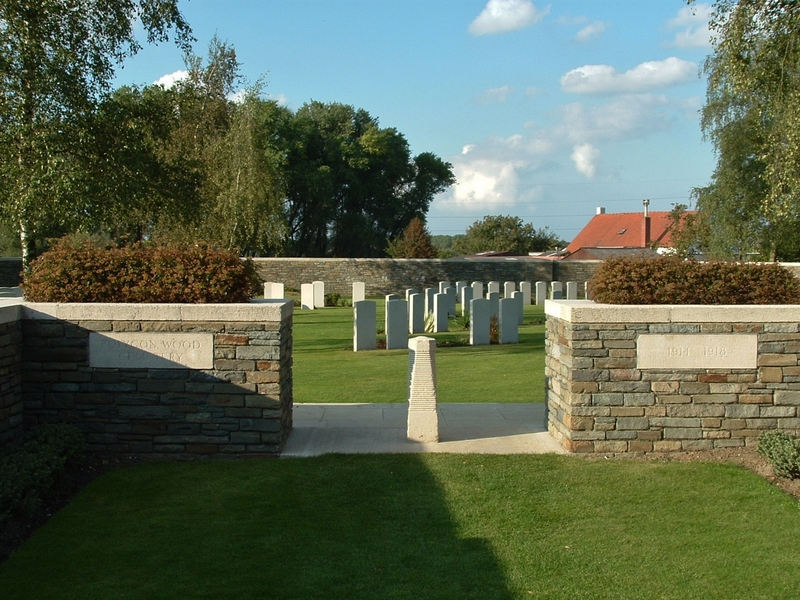 The battle was part of the third Ypres offensive which saw around 10,000 Australian men killed in just eight weeks. 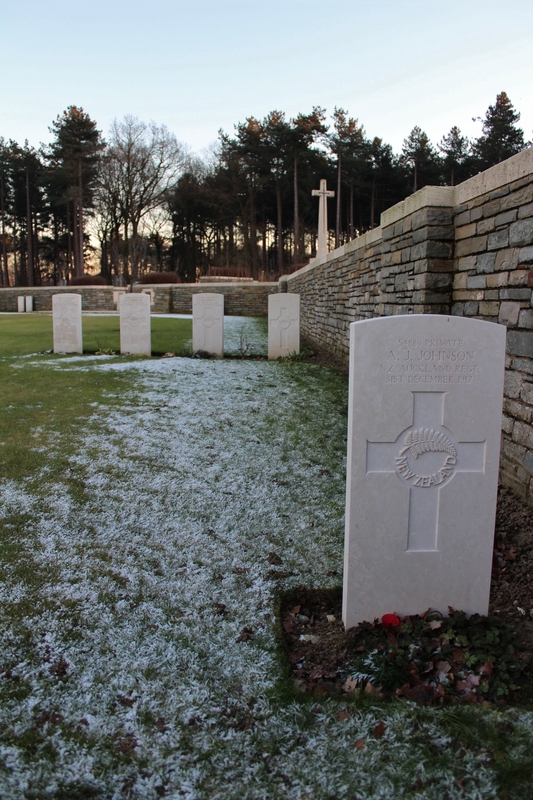 In the lead up to the commemoration, the Governor-General Peter Cosgrove visited the grave of Private Patrick Bugden who was posthumously awarded a Victoria Cross for bravery at Polygon Wood. Hey Sid. First of all don’t worry about double ups if they ever happen – I can delete one with ease if necessary. Secondly, I’ve only checked your mails today (had a very busy couple of days and a few more coming up) and it all sounds brilliant. The screen shots you took I have looked at and they are marvellous. 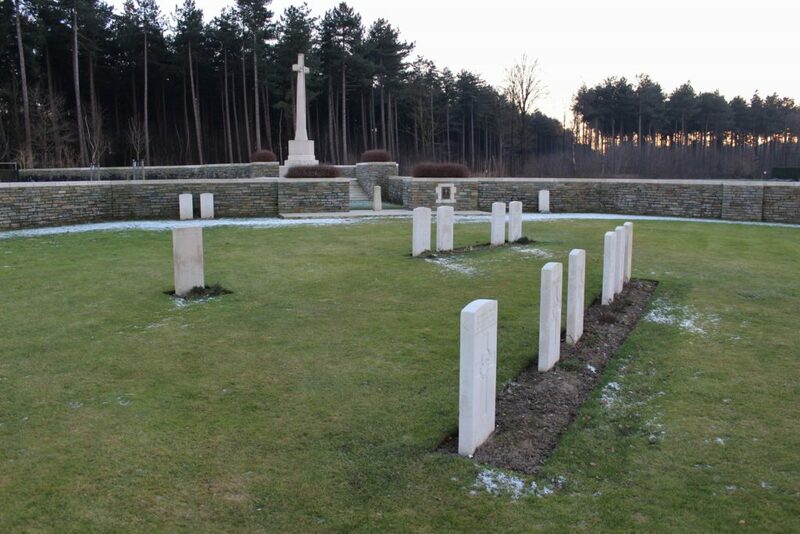 The ceremony of course took place in Buttes New British Cemetery, just across the road from Polygon Wood Cemetery. 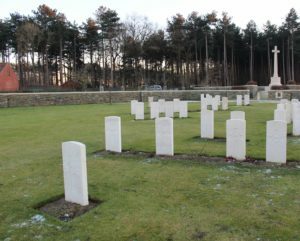 Private Patrick Bugden is buried in Hooge Crater Cemetery and I visited his grave earlier this year (all to come on this site at a later date, of course). 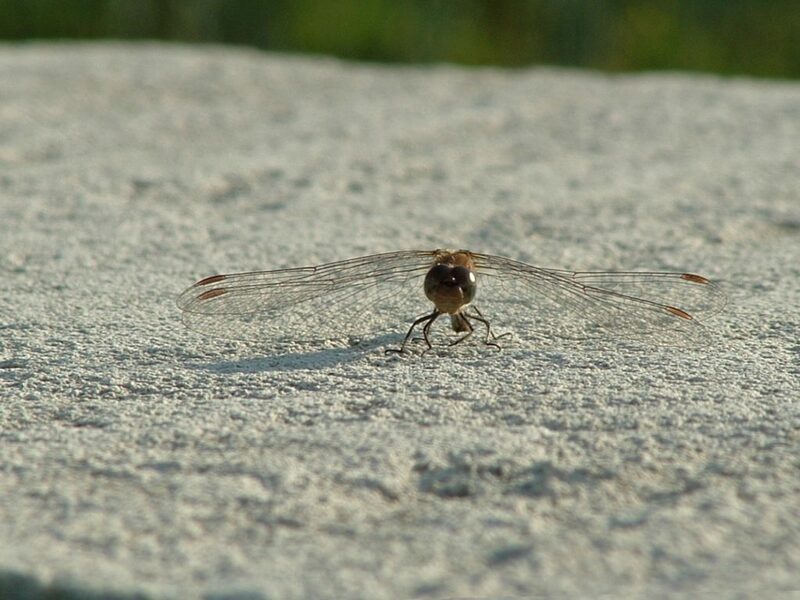 Will check out the other attachments in due course – my email coped easily, btw. 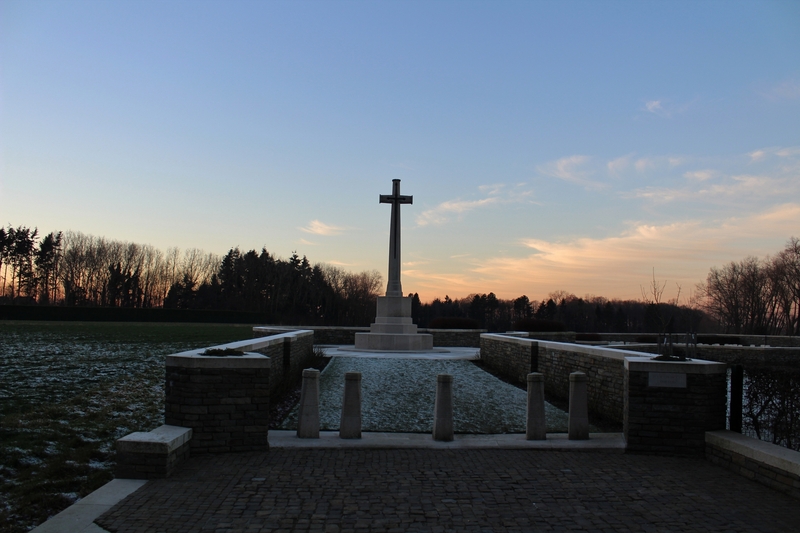 As you may have gathered, coincidentally I shall be in Zonnebeke myself on Friday – a very brief visit arriving late Thurday night and back in London early Sunday morning. 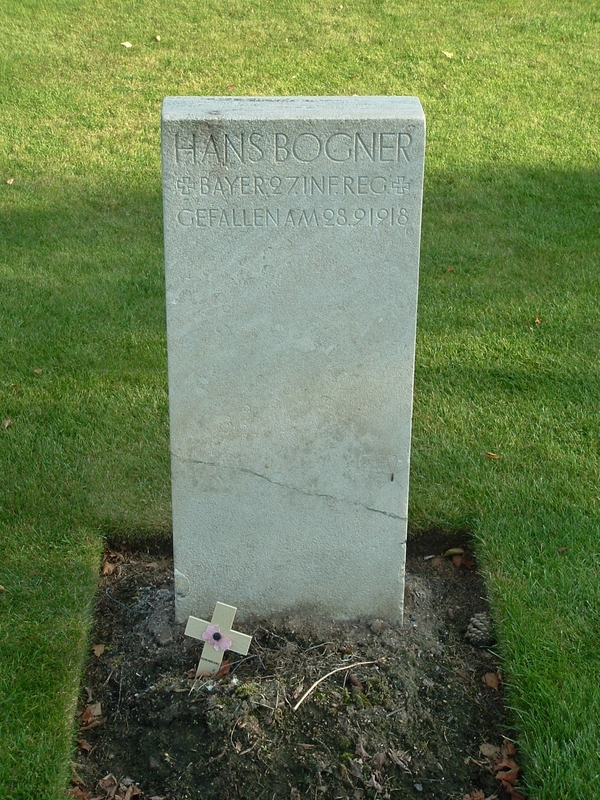 Is there a story behind the burial of one German soldier, Hans Bogner, in Polygon Wood Cemetery? 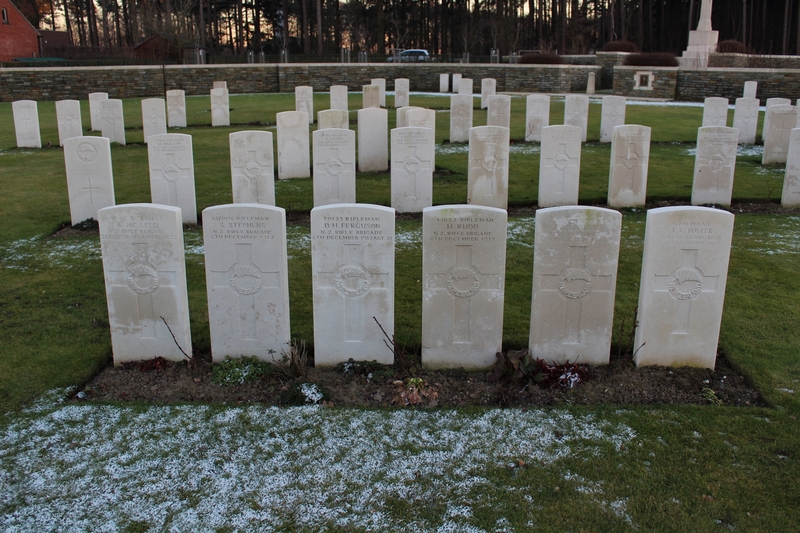 I visited both the Butte and Polygon Wood cemeteries last year when we toured the area in France and Belgium as part of the 100th anniversary of the Canadian forces taking Vimy Ridge and at that time noted with interest the one German headstone. If you would supply information regarding soldier Bogner I would be interested to learn the story. Hello Bryan. 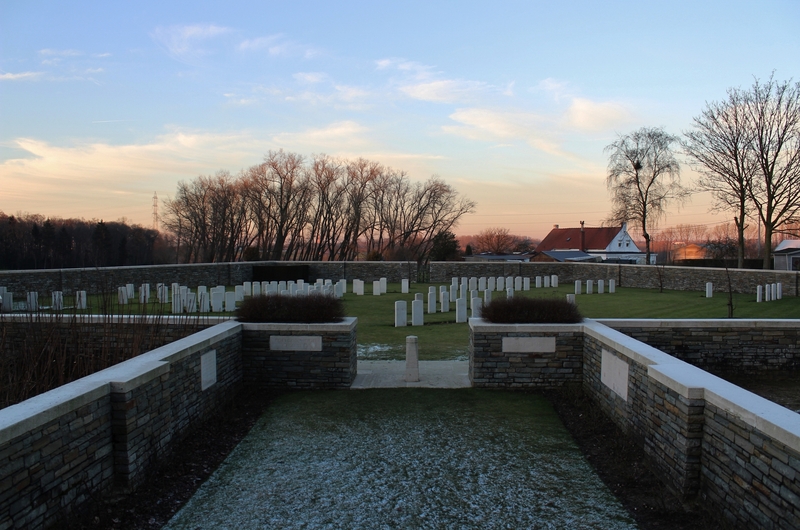 I don’t know why Hans Bogner is buried here; he may well have been buried by the British, perhaps captured wounded? 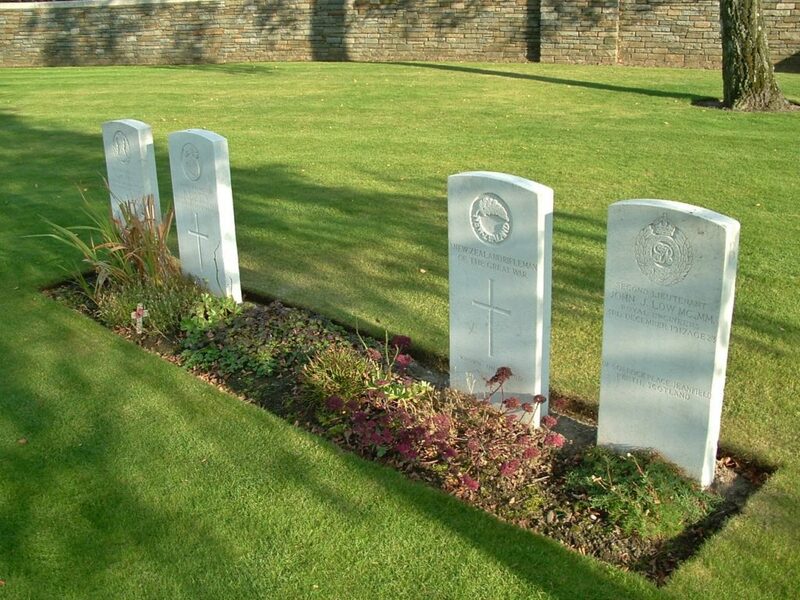 Curiously, I am currently writing, and will be shortly posting, a piece about another cemetery with a lone German grave, and even coincidentally, another German headstone broken at some point. 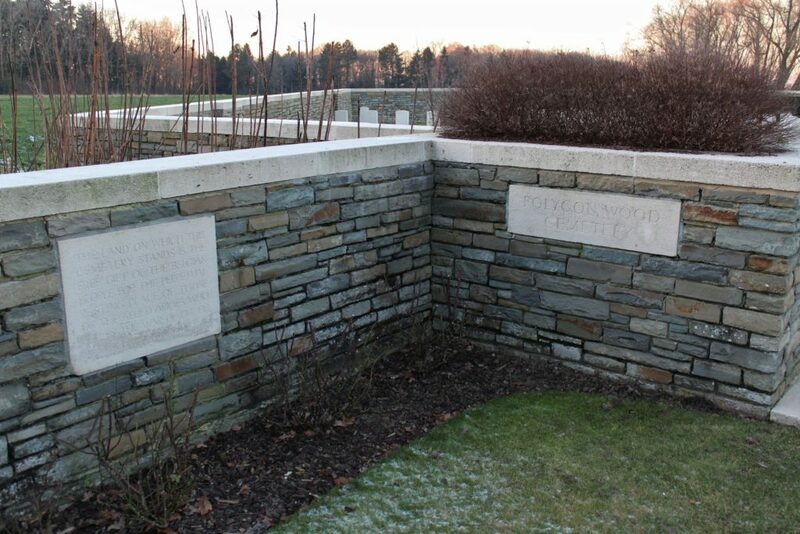 One or two German graves in a CWGC cemetery is not an unusual find, though – occasionally many more. Don’t know if u can help my dads uncle is alfred featherbe buried at minty farm cemetery I am coming over next week with my dad and would really like to find out where he might of died the last battle was in polygon wood and wanted to know is there a list of people that where taken in and if so how do I access this . Also just wanted to say how pleased my family where to see u had show a photo of my great uncle we left in the book . 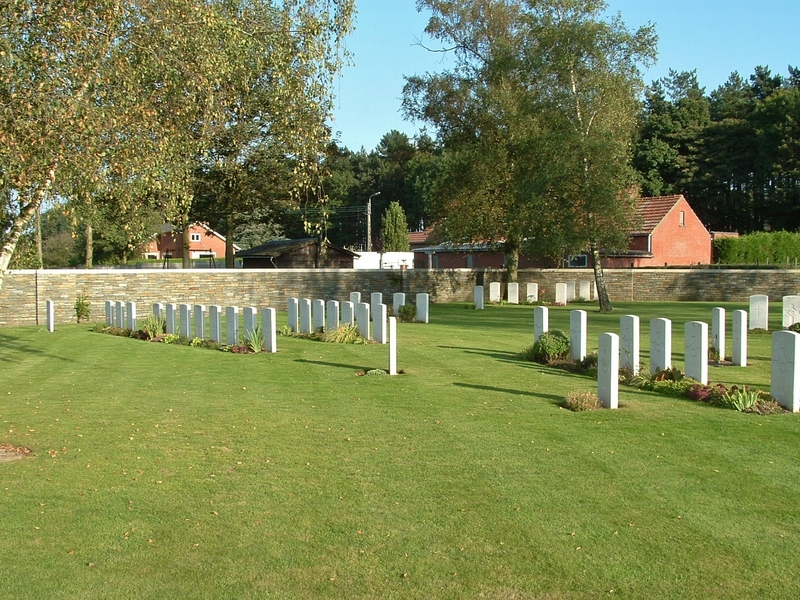 Val, my other suggestion is to find the war diary for B Battery 58th Brigade, R.F.A., which might give you some clues. I am not sure what else I can suggest. There certainly won’t be a list of men admitted to a field hospital, that I can tell you – unless you know otherwise? That’s a shame, but I am not surprised; I have little doubt that the local person who has it/them treats it/them with due repect, though. It would be an honour to add your pictures to this post; is it okay to email you (I have your address) so you can send them to me? Ok will wait for you to email me direct so I can send pictures . 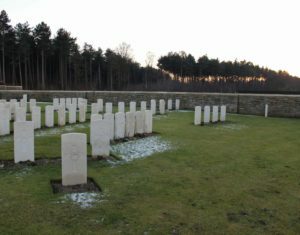 I understand when you have loads of things left but no one goes to minty farm it’s so out of the way that it doesn’t have have the footfall as some of the other cemetery’s I really thought it would be there forever . . . So when I saw that u had been there we where so happy . Sorry ment to say in my last message how can we find out if my uncle is listed at a field hospital if so how do I access this . Hello Val. 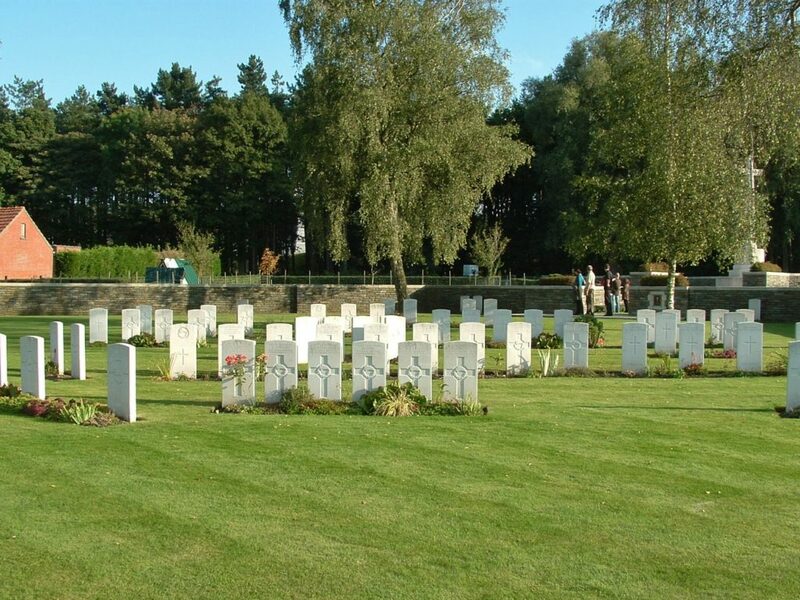 I have just returned from the Belgian Grand Prix and am absolutely whacked, but I will give this some thought in the next couple of days; I am not so sure you will have the time if you are going next week unless you already have his papers, if they survive. Please tell the rest of the family that I was very touched when I found the photo and note. 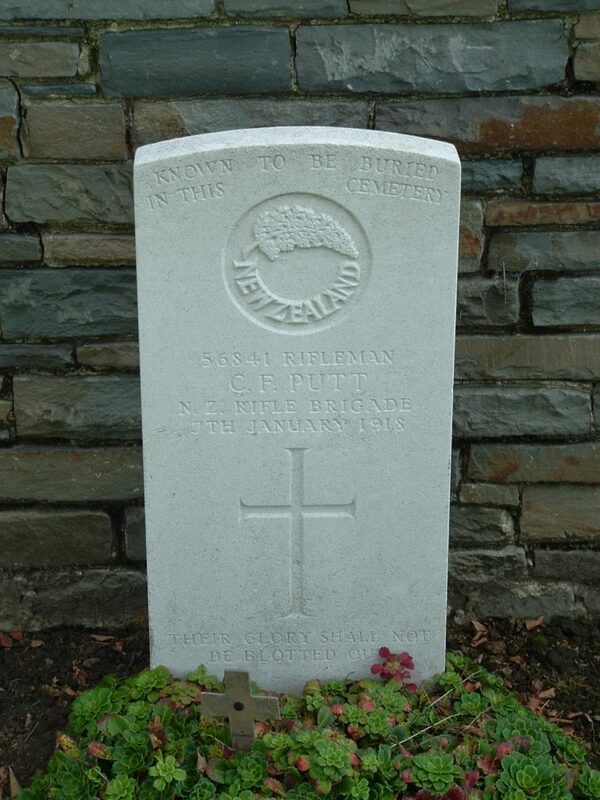 I just love it when I hear about another soldier who has not been forgotten. And of course a photo just adds to it. So thank you for leaving it there. Val, have mailed you. 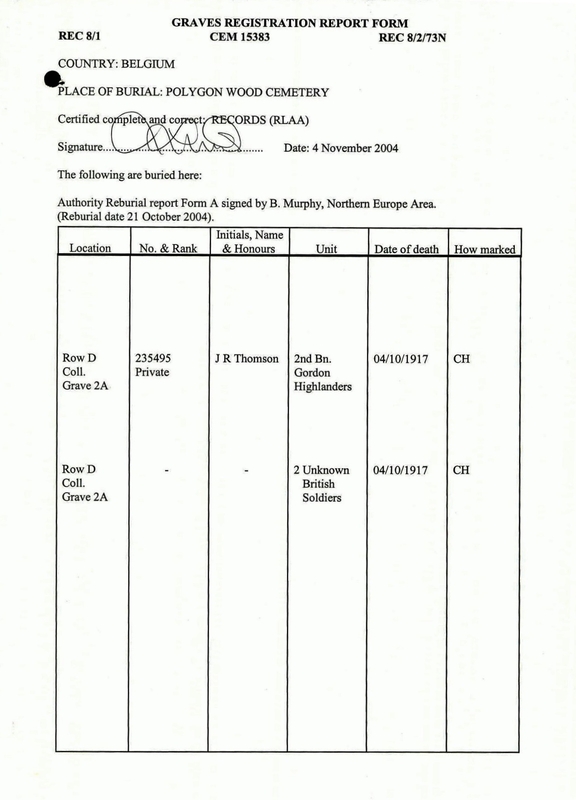 Message entitled theBigNote Website – check your spam if you haven’t received it. We meet at the Last Post Ceremony at Menin Gate in September and I promised to send you 2 copies of our book “For God, King and Country”, but I have lost your postal and email addresses. Could you please send me your postal address by email and I will forward them to you.